The sallet was a common enough helmet after their rise during the middle of the 15th century, and for good reason. Helms like this Basic Sallet Helmet were very protective, while also lacking the drawbacks of many earlier great helmets. A typical sallet was a close-fitting helm that offered all the protection of a great helmet. This sallet features a rounded crown with a reinforced ridge that provides strength and durability to the helm. 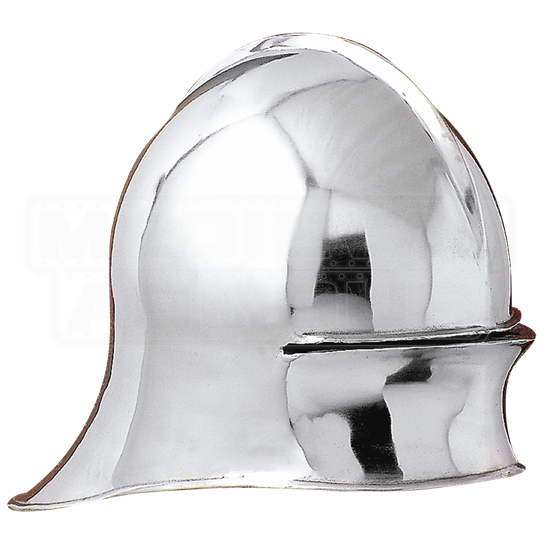 Unlike some sallets at the time, this helmet does not feature a hinged visor, instead possessing only a narrow slit for vision. The back of the helmet extends out and angles down just slightly, which enables this helmet to provide a bit more defense to the back of the head and neck. 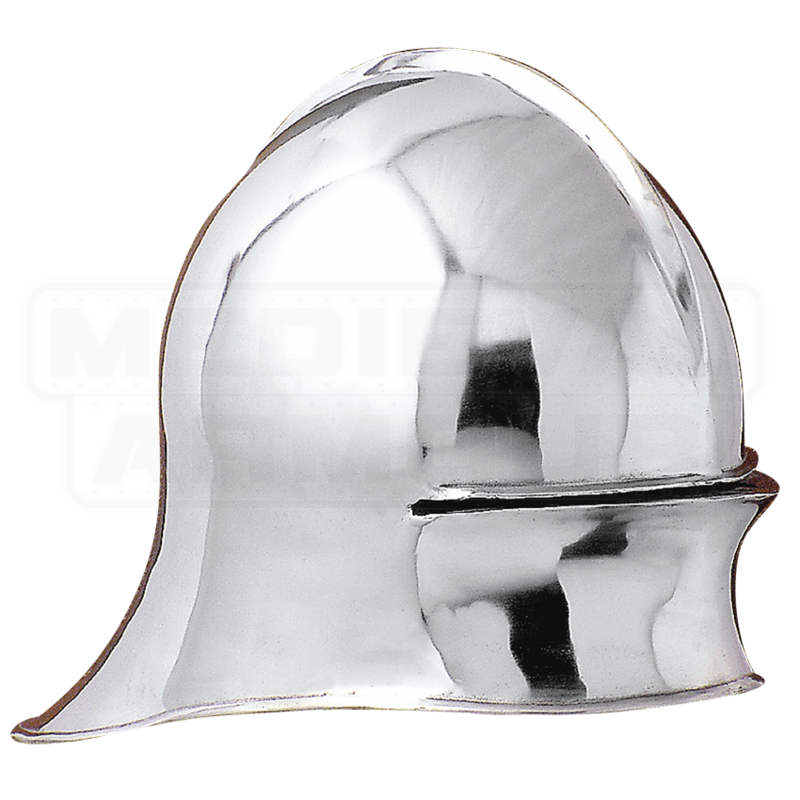 This helmet is made entirely from 14 gauge mild steel, which makes it a great helm to wear either for costuming or for actual mock or LARP battles. If you want to recreate the look of a medieval warrior, either as a piece in your collection or as an actual costume, than this Basic Sallet Helmet will go a long way to recreating an ancient warriors authentic look and feel.